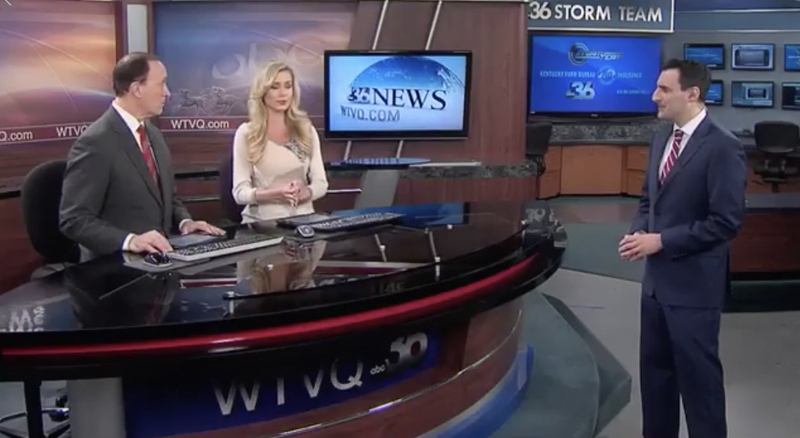 WTVQ, the ABC affiliate in Lexington, Kentucky, is marking the last day on its old set. 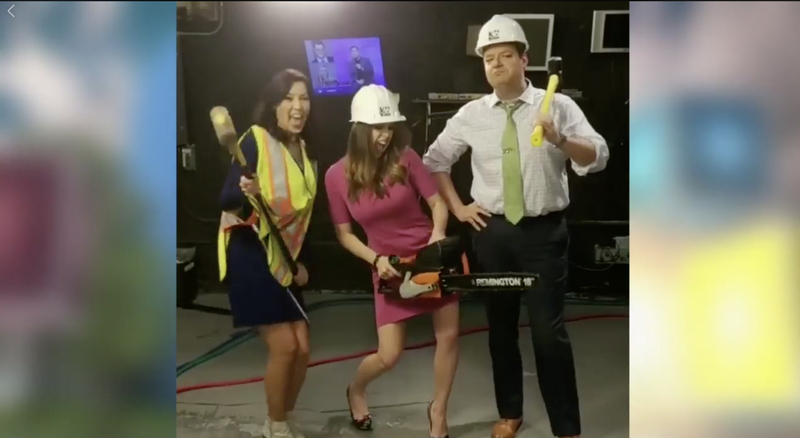 The station’s “Good Day KY” team took the opportunity to shoot some looping “bounce” videos of themselves with power tools and swinging sledgehammers. Meanwhile, Friday, Feb. 8, 2019, will mark the last day the station uses its old studio set, which features a foot-ball-shaped anchor desk, duratrans backgrounds and working weather center. According to Friday’s “Good Day KY” broadcast, the station will temporarily relocate to the newsroom while the new set is installed.